Laughter is, supposedly, the best medicine. In that case, The Treason Show might just be the treatment you need when suffering from the current political climate. The long-running sketch show sees a team of talented performers offer up a satirical look at society with a noticeable absence of pulled punches. Public figures beware, no-one is safe in this giggle-ridden production. Rapid-fire jokes and ruthless heckler interaction has seen Jimmy Carr craft a comedy career lasting over a decade and a half, and he shows no signs of slowing. His latest live-show, The Best of, Ultimate, Gold, Greatest Hits Tour, is a collection of his favourite jokes from his time in comedy, compiled into a night of hilarious highlights. World-domineering duo Gamarjobat take their signature slapstick silliness and sprinkle it with a colourful, cartoon-like aesthetic in their latest live-show. 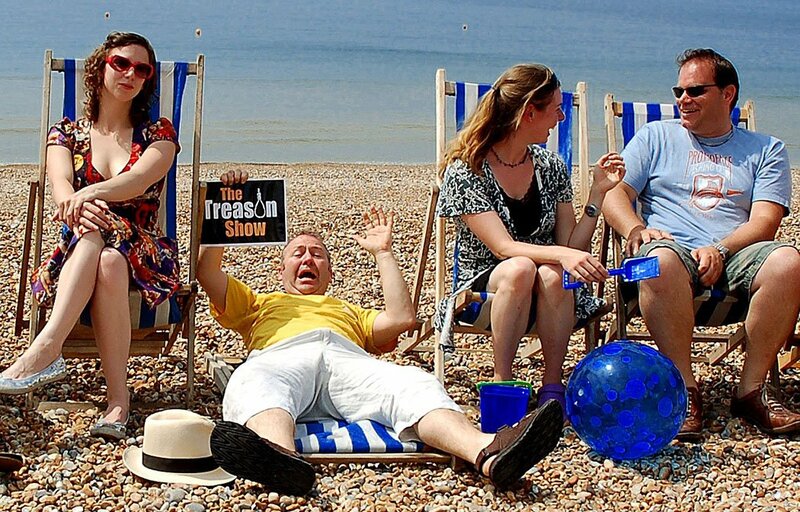 Having racked up over 50 million views on Youtube, a host of television appearances and a number of highly-praised performances at Brighton and Edinburgh Fringe, the act’s tried and tested formula is sure to find your funny bone.